More news from the world of Clive Barker! The upcoming documentary "Leviathan: The Story of Hellraiser and Hellbound: Hellraiser 2" has officially released its first trailer. The documentary details the making of and history behind the first two installments of the "Hellraiser" based off of Clive Barker's masterpiece, "The Hellbound Heart." 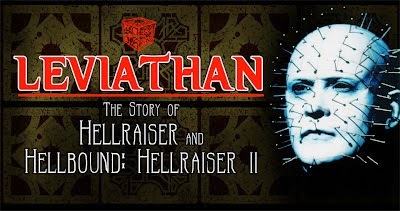 "Leviathan: The Story of Hellraiser and Hellbound: Hellraiser II" is a feature length documentary uncovering the history, making of and unknown details of the making of Clive Barker’s "Hellraiser" and "Hellbound: Hellraiser II" films. With interviews and testimonies from those most closely involved, we hope to bring a comprehensive insight to these classic cult films. Following the story of the films from their inception through production to release and the their subsequent lives and growing fan base, we aim to show fans and those less familiar with the films both the technical skills, the creative idea, the symbolism and the legacy of these movies. Delving deep into the director’s vision and ambitions for the project we’ll be exploring where he came from, where his career had taken him and the inspiration for the story and world he created. We’ll be telling the story of his journey of making them and how close they came to his vision at the time and how he feels about them over 25 years later. [...]Through a series of candid interviews, behind the scenes footage, stills and a look a promotional material from the time and the merchandise now available, we will create a truly engaging and informative piece, with a few laughs and a bit of gossip thrown in for good luck. The documentary features interviews with crew members from the original films, as well as cast members, including the man underneath the pins himself, Doug Bradley. 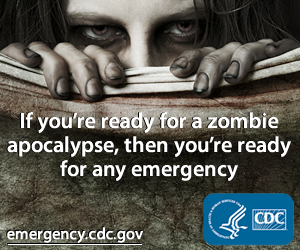 Currently, there is no official release date, but keep checking here for updates! As a huge Hellraiser fan, I am very excited about the sights they have to show me, so be sure to watch the trailer and let us know what you think!